Xtreme/GPU - Up Stack - Connect Tech Inc.
Connect Tech’s Xtreme/GPU brings exceptional desktop-level graphics, outstanding multimedia features, and GPU processing power to the PCIe/104 form factor; with the ability to select either AMD or NVIDIA® graphical solutions. 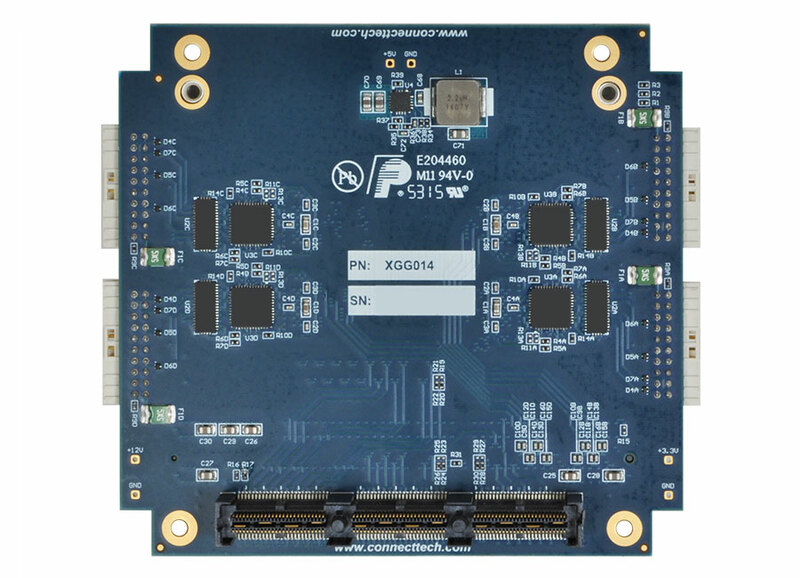 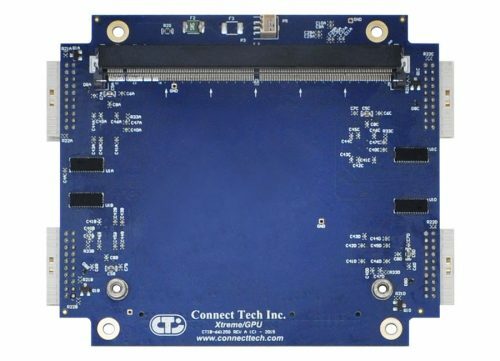 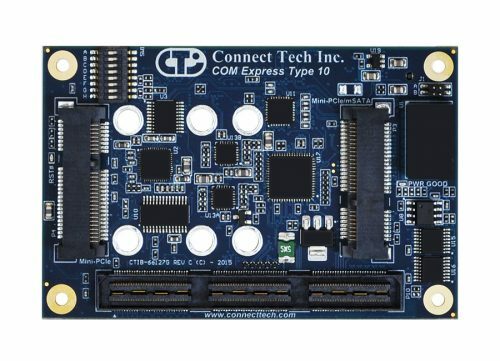 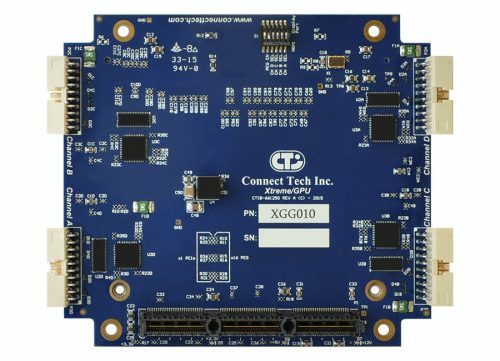 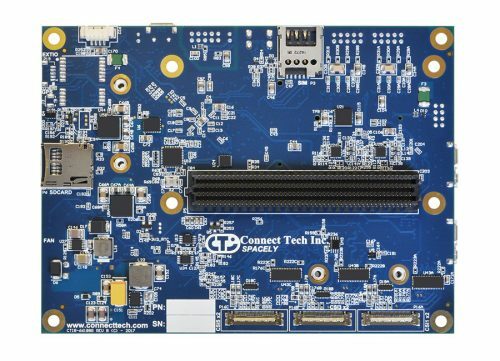 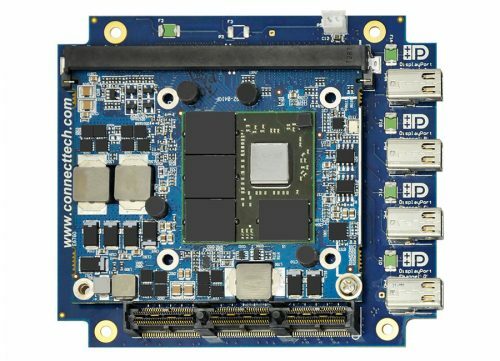 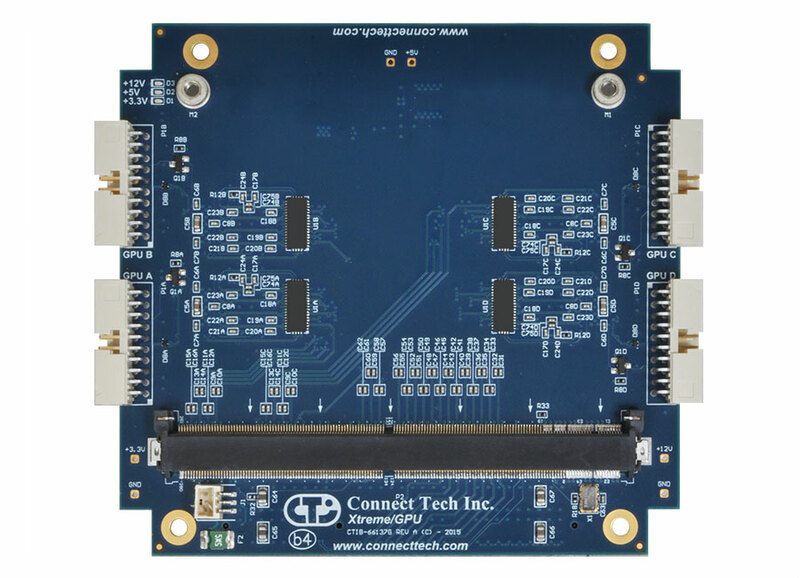 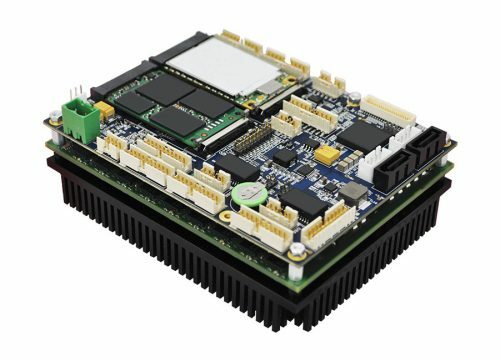 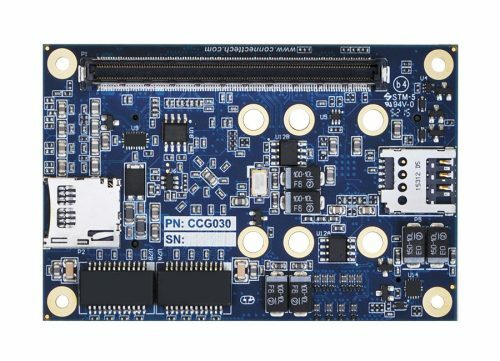 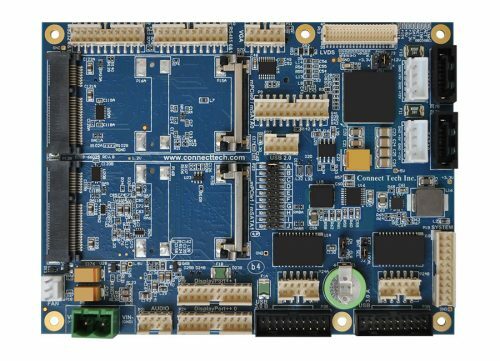 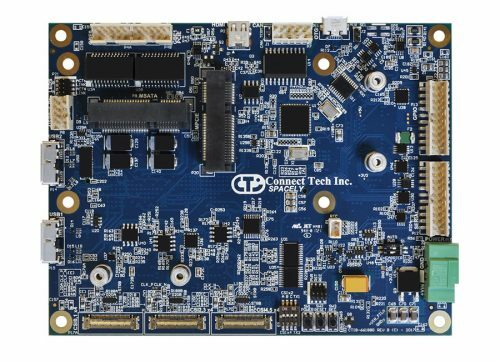 Connect Tech’s AMD version of the Xtreme/GPU is a high end graphics unit, used to drive up to four video connections for either independent use, or leveraging AMD Eyefinity technology, as a single large surface. 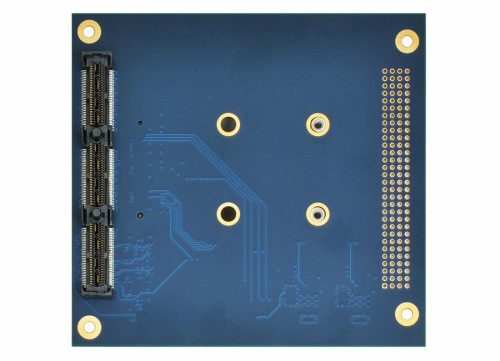 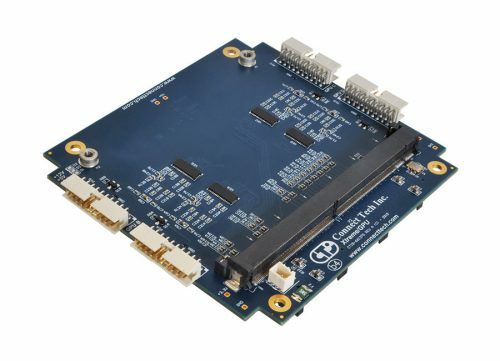 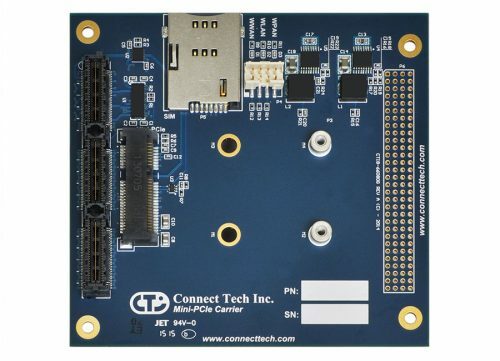 On-board passive circuitry allows for the use of HDMI, or Dual-Mode DisplayPort, enabling the use of DVI dongles if DisplayPort or HDMI is not preferred. 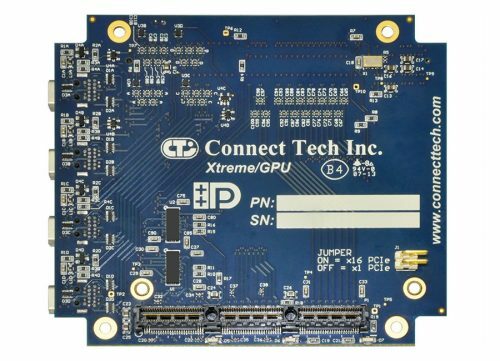 With Connect Tech’s NVIDIA solution, the Xtreme/GPU transforms into a processing powerhouse. 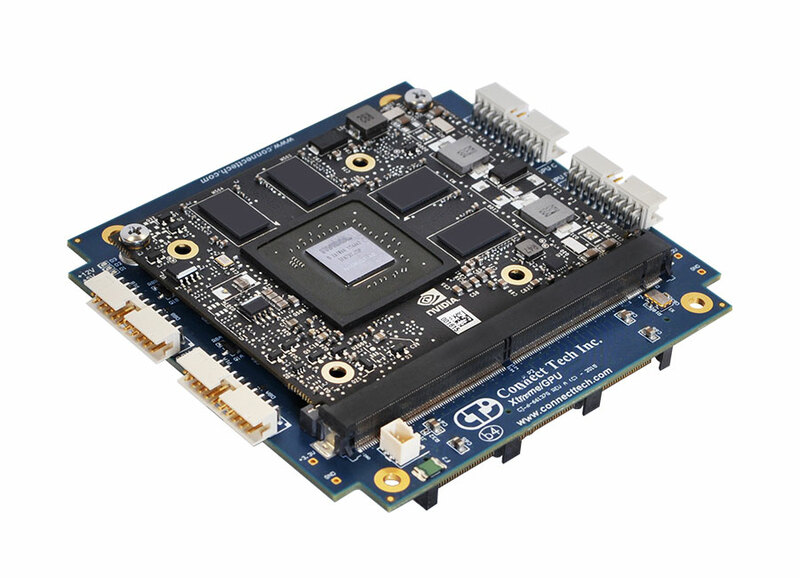 With access to the NVIDIA CUDA® Cores, the GPU can become a parallel computational CPU for non-graphical applications.